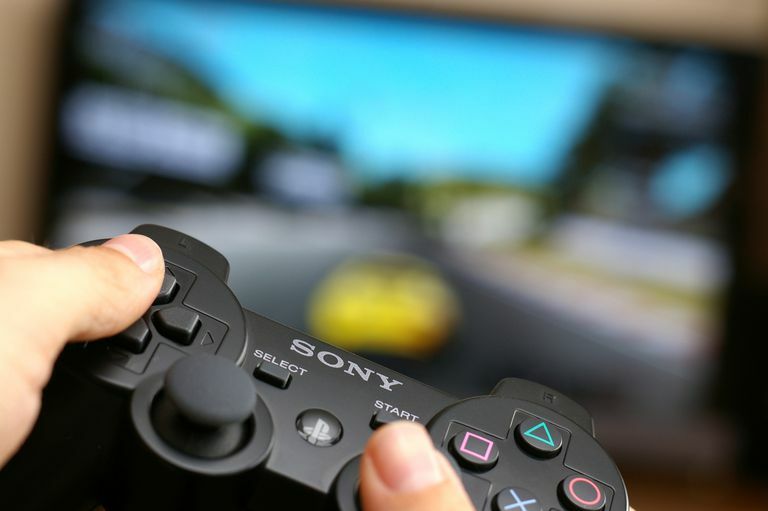 If you know how to connect a PS3 controller to your PC, then you can play your favorite games on Steam without the need for a mouse and keyboard. This article applies to the official DualShock 3 controller for PlayStation 3 and computers running Windows 7, Windows 8, Windows 10, or macOS. Can You Connect the DualShock 3 to a PC? While using the PS4 controller with a PC just requires you to plug it in, connecting the DualShock 3 controller to a computer takes considerably more effort. Still, it's worth it to play games on Steam with an authentic controller. If your DualShock 3 controller is paired with a PS3, first unplug the PS3 from its power source, or else it can cause syncing conflicts. Plug the DualShock 3 into your PC via a mini-USB cable. Optionally, also plug in your wireless Bluetooth dongle. This is only necessary if your computer doesn't have built-in Bluetooth support. Download and run ScpToolkit_Setup.exe. It should automatically download all of the other files it needs, so just follow all the prompts. If you're on Windows 7, download and install the Xbox 360 controller drivers. After the ScpToolkit finishes setting up, select the big green button above Run Driver Installer on the window that pops up. On the next screen, make sure the box beside Install DualShock 3 driver and Install Bluetooth driver are checked (if you have a Bluetooth dongle plugged in). Uncheck Install DualShock 4 driver (and uncheck Install Bluetooth driver if you don't have a Bluetooth dongle). Select the arrow beside Choose Dualshock 3 controllers to install and choose your PlayStation 3 controller from the drop-down menu. If connecting a Bluetooth dongle, select the arrow beside Choose Bluetooth dongles to install and choose your Bluetooth device from the drop down menu. Select Install. When finished, select Exit. The ScpToolkit Settings Manager will then appear in your system tray. Select it to add another device. Once installed properly, the DualShock 3 should automatically work with the Steam client and any PC game that supports gamepads. You may be able to adjust the control settings for individual games, but your computer will recognize the PS3 controller as an Xbox controller, so keep that in mind when adjusting the button mapping. When you're done playing, turn off the DualShock by holding down the PS button on the center of the controller. ScpToolkit must be running for the DualShock 3 controller to work on your PC. To use your PS3 controller wirelessly, you'll either need a PC with built-in Bluetooth compatibility or a Bluetooth dongle plugged in. That said, you must plug in the controller before you can play wirelessly. After unplugging the controller, it should automatically sync with your PC via Bluetooth if the proper drivers are installed. Using a DualShock 3 controller with a Mac is much simpler than connecting it to a PC, because the necessary drivers are already present in OS X Snow Leopard and later. That said, setting up wireless connectivity requires some extra steps. If you have the latest version of macOS, you can skip steps 7-10 below as the process has become more streamlined. Reset your PS3 controller by inserting a paperclip into the tiny hole under the L2 button on the back of the DualShock 3. From the Apple menu on your Mac, select System Preferences > Bluetooth and make sure your computer's Bluetooth is enabled. Connect the controller to your Mac with a USB cable. Hold down the PS button on your controller for 1-3 seconds until you see the red lights on top of the DualShock 3 flashing. Unplug the controller from your Mac. Click the + icon in the System Preferences menu, then select Bluetooth Setup Assistant. When prompted for an access code, enter "0000" and click Accept. Close the assistant and click PLAYSTATION3 Controller in the Bluetooth list in your System Preferences. Click the gear icon and select Add To Favorites and Update Services. Disable your Mac's Bluetooth and wait a second. Enable Bluetooth again and wait another second. Your DualShock 3 should now work with games that supports controllers.